Project “Empowerment of Vulnerable Older Persons Wellbeing in Kragujevac and Kraljevo Region“ started in December 2018 and will last till March 2020. Project is designed for an older population living in rural areas of Serbia, to older with а disability or chronic disease, older people living alone, poor, people who receive social welfare assistance, refugees and internally displaced persons. We have become a proud member of Eurodiaconia family! On 24th of January 2019, CF Philanthropy welcomed their colleagues, experts in the field of social work with children deprived of parental care, members of the organization working with children and youth from the homes. Philanthropy is proud to announce membership at CaLP - the Cash Learning Partnership! Upon receiving the invitation of the Brot fur die Welt, with its headquarters in Berlin, director of Philanthropy, Тhe Charitable Foundation of the Serbian Church, Mr. Dragan M. Makojevic, MDiv MTh, had the honor to take a part in the celebration of the 60th anniversary of the creation of it. While being in Berlin, there was enough time and opportunities to congratulate colleagues and friends, on such important jubilee as well and to talk about current and future cooperation between two institutions. 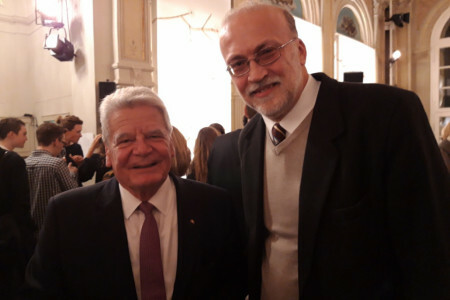 Director of Philanthropy also had a privilege to meet and talk with His Excellency Mr. Joachim Gauck, the former President of Germany, who used the opportunity and extended His most cordial greetings to the Holy Church and the Serbian people. Philanthropy - strong when it comes to helping people living with HIV/aids! 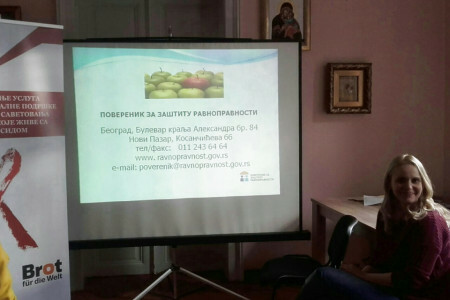 Philanthropy and BROT organized training for people living with HIV/aids, as part of the project “Strengthening Psycho-Social Support Services and Legal Advice for People Living with HIV”. Information was shared on new therapeutic possibilities in treating HIV/aids, substantiation of the rights in the health protection system, term and shapes of discrimination, mechanisms for protection, social services in Serbia, and about psychosocial support aimed for the persons living with HIV/aids. ALMIT - For better future of unemployed and better perspective for all! 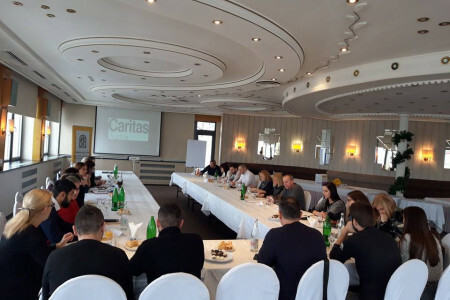 Third national coordination meeting on ALMIT project at Philanthropy (Човекољубље) gathered partners from Municipality of Šid (Општина Шид) and Belgrade Open School (Beogradska otvorena škola). A number of interesting points came up at the meeting, defined schedule of the activities ahead and allocation of tasks between partners. ALMIT is a project on “Acceleration of labour market integration of immigrants through mapping of skills and trainings” that will pilot initial language training courses, civic and intercultural skills sessions, ICT tools (mobile and online), mapping of educational background and work experience, skills profiling, psychological consultation, and job seeking. 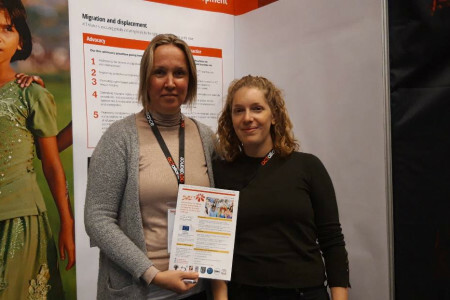 ALMIT project was also promoted and presented at ACT General Assembly 2018, in Uppsala, Sweden, and provided an opportunity for assembly participants to experience the work of churches on migration and integration in a Balkan context. 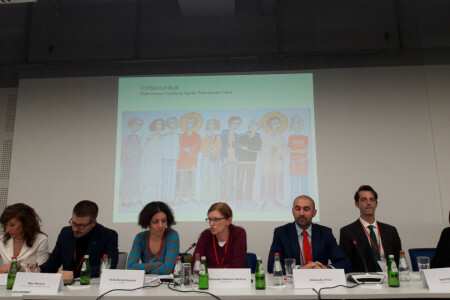 ALMIT project was also presented at the roundtable “Mapping the needs and challenges of children and youth deprived of parental care” in November, in Belgrade. 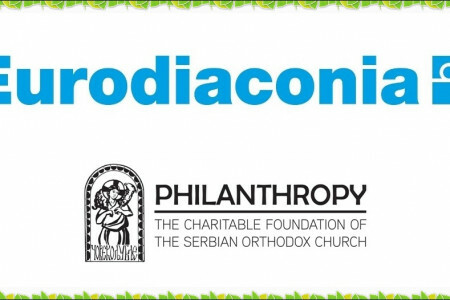 Philanthropy is happy to announce that DRAGAN MAKOJEVIĆ, DIRECTOR OF PHILANTHROPY, THE CHARITABLE FOUNDATION OF THE SERBIAN ORTHODOX CHURCH, HAS BEEN ELECTED FOR A NEW MEMBER OF THE GOVERNING BOARD OF ACT ALLIANCE. Congratulations! “Your efforts have earned you the trust of the communities you serve, and you are often directly engaged with those who are left furthest behind.” (Her Excellency Ms. Amina Mohammed, Deputy Secretary-General of the UN, to ACT members at the General Assembly) ACT Alliance is the world’s largest Protestant and Orthodox network of churches and agencies working in humanitarian relief, sustainable development, and advocacy - committed to working together to support and put the most vulnerable people first. ACT Alliance commits to doing so in partnership with each other, and with other actors, in accord with our values as Christians. 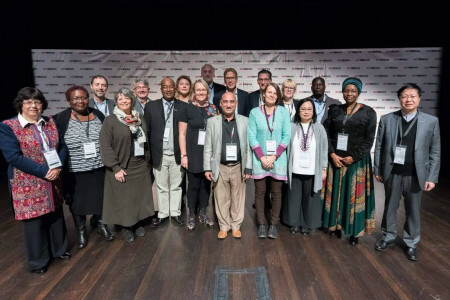 As members from around the world, the North and South, ACT Alliance commits to speaking out against injustice and to fight for climate justice, gender justice, the rights of people on the move, peace, human security, and protection of people affected by emergencies. As churches and agencies rooted in communities, we commit to ensuring no one is left behind. Philanthropy, the Charitable Foundation of the Serbian Orthodox Church had donated clothing, bedclothes and didactic material to the children and youth with disabilities in the home “Stanko Paunovic” in Negotin. This occasion also brought the subject of continuation of cooperation. After seeing a Small Home Community where children and youth are staying, we found out about their needs and saw in what condition they are living in.